Today I have a special edition of Emerging Creatively Tutorials TV (ECT TV)! 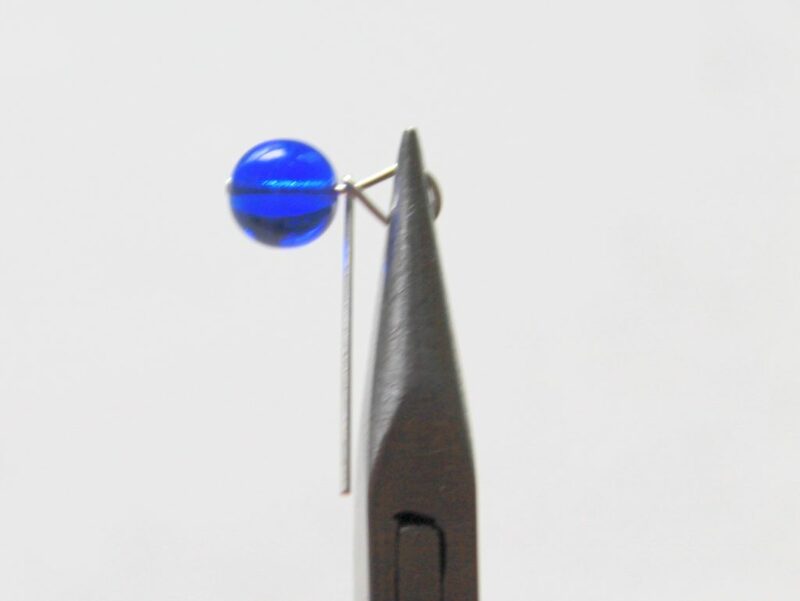 Introduction to Making Earrings! In this episode you’ll learn everything you need to know to get started with making earrings plus a simple earring tutorial. 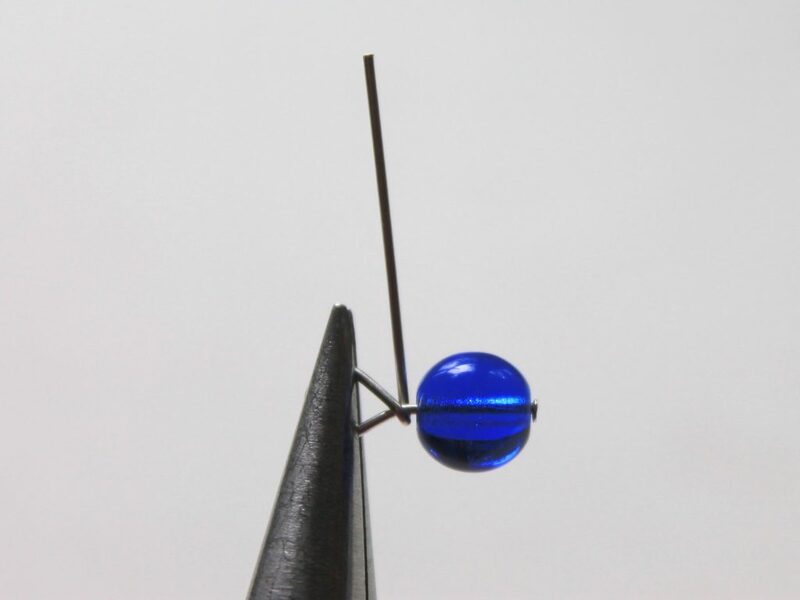 The generally accepted gauge of wire for making earring wires is 20 gauge. 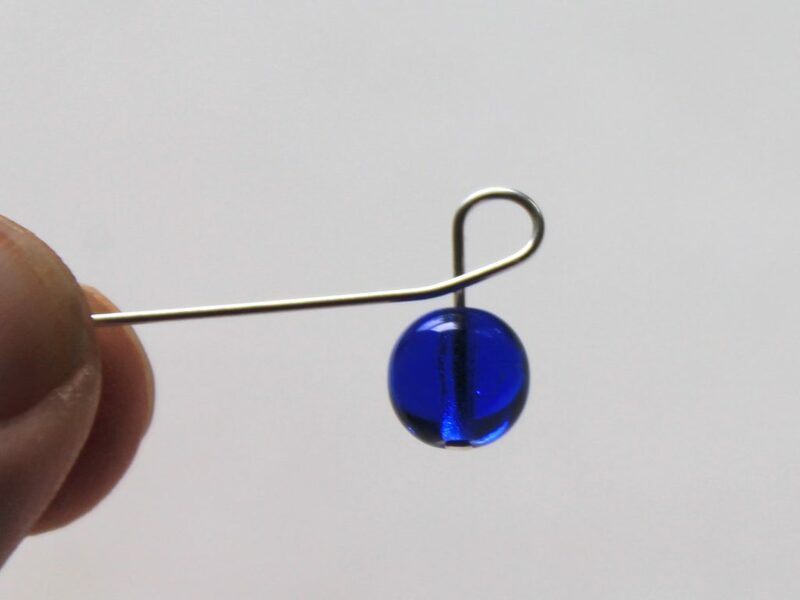 Since you’re making your own earrings if that feels too thick for you you can always try 22 gauge and experiment so that you feel comfortable. 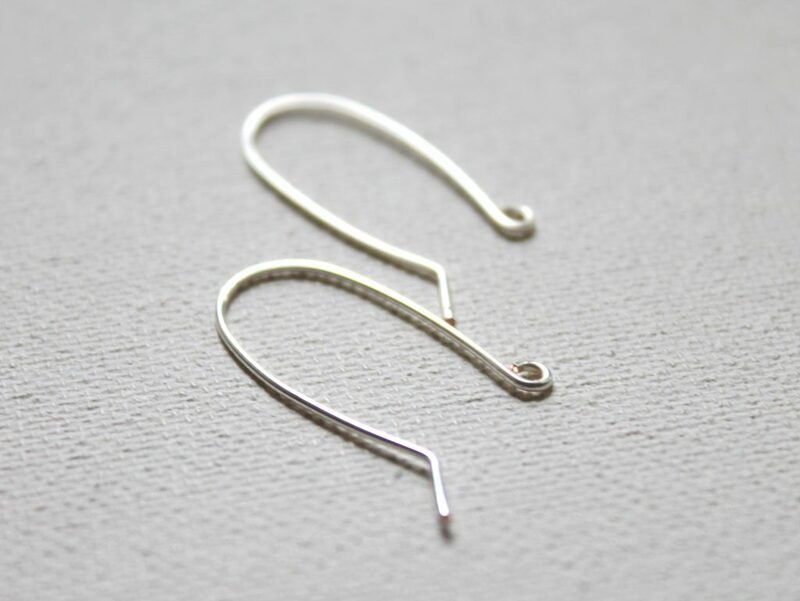 You may use other wire when creating earrings that are other gauges as well. 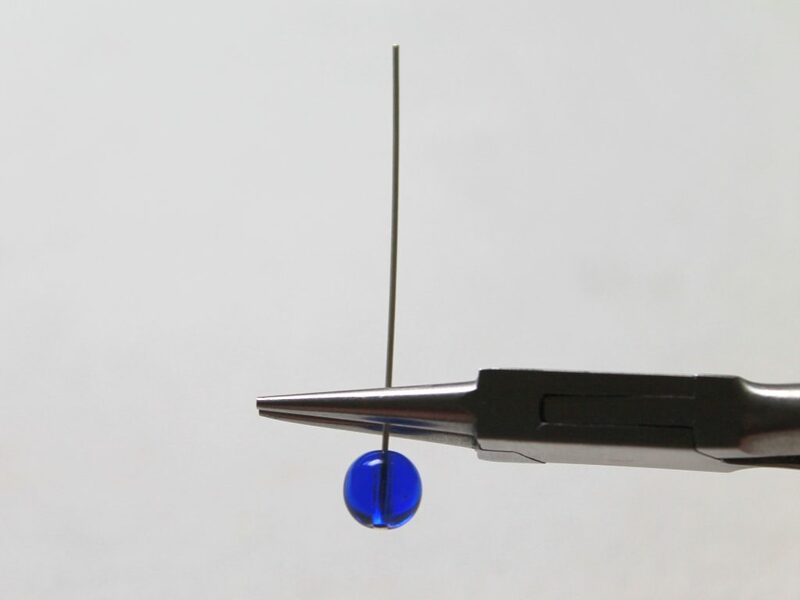 If you don’t have any allergies to metal, you probably can use any wire. 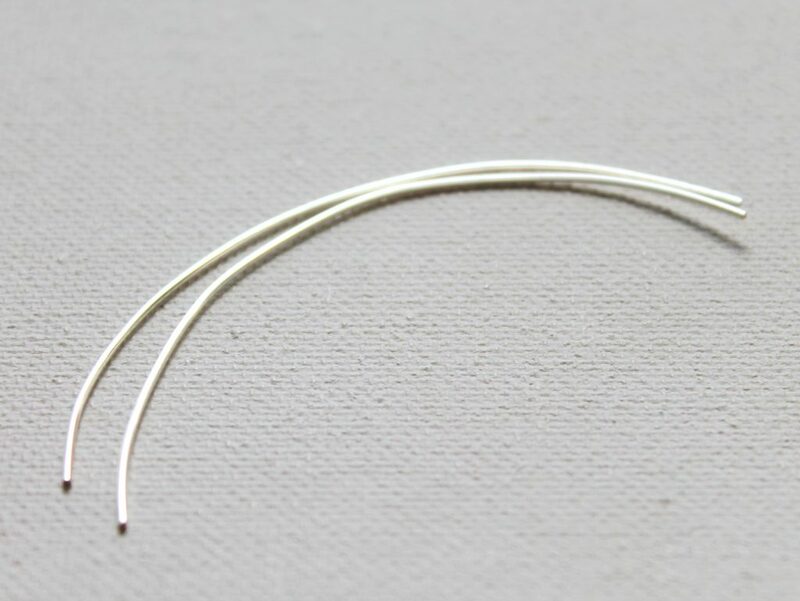 Alternatively, you can simply purchase earring wires at your favorite supply store. 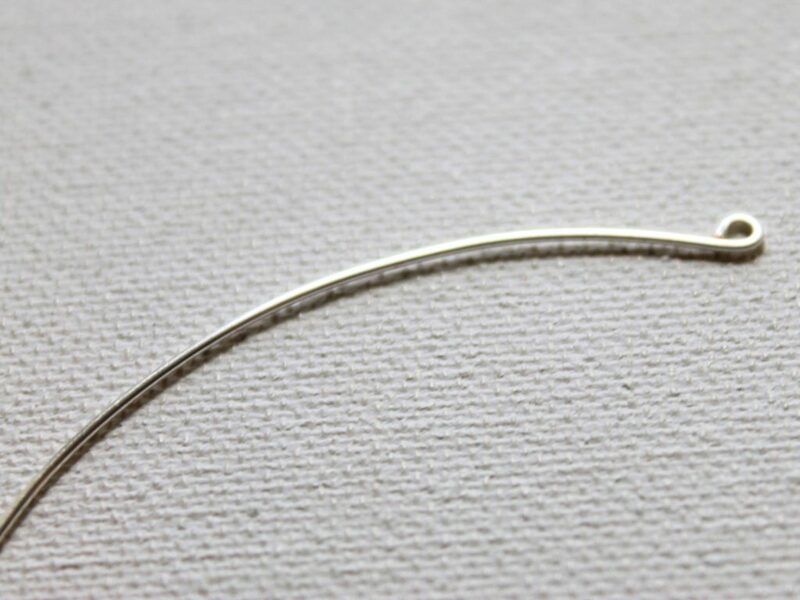 Again, if you have metal allergies, look for sterling silver or you may be able to use surgical steal earring wires. The main concern when you’re making earrings is the weight of the earrings. You don’t want anything too heavy that will pull on your ears and be uncomfortable. 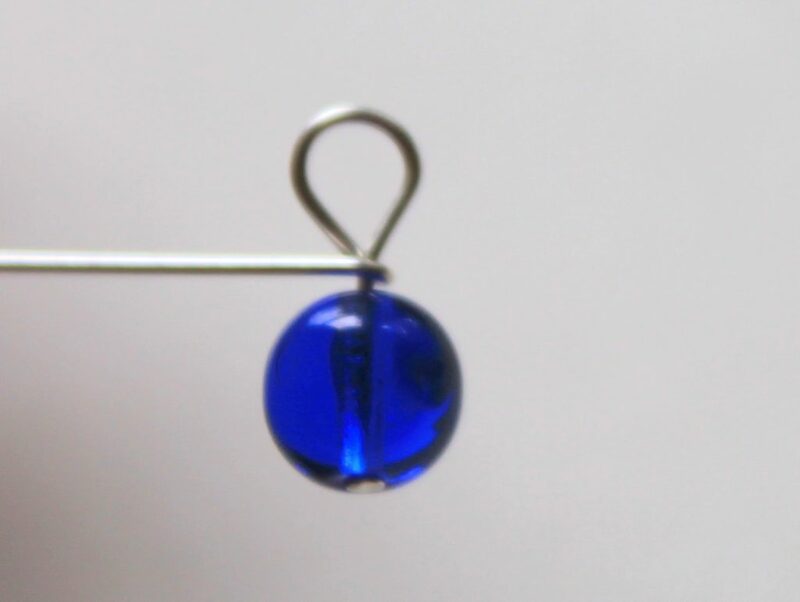 If you’re making earrings for yourself, you can make them as heavy as you like, but still be careful not to make them too heavy. 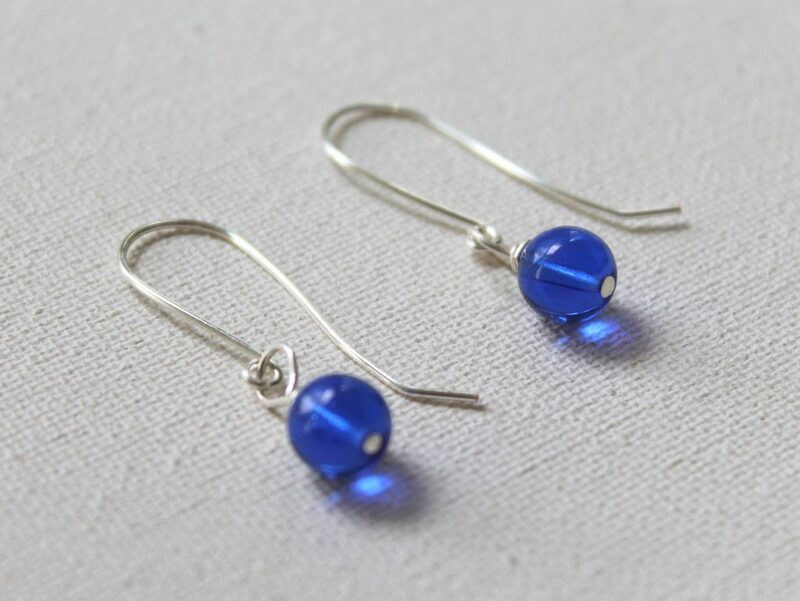 If you’re making earrings for someone else, make them as light as you can. That being said, using large heavy beads isn’t the best idea for earrings, but use your own judgment. That goes for anything else that you might add to your earrings. 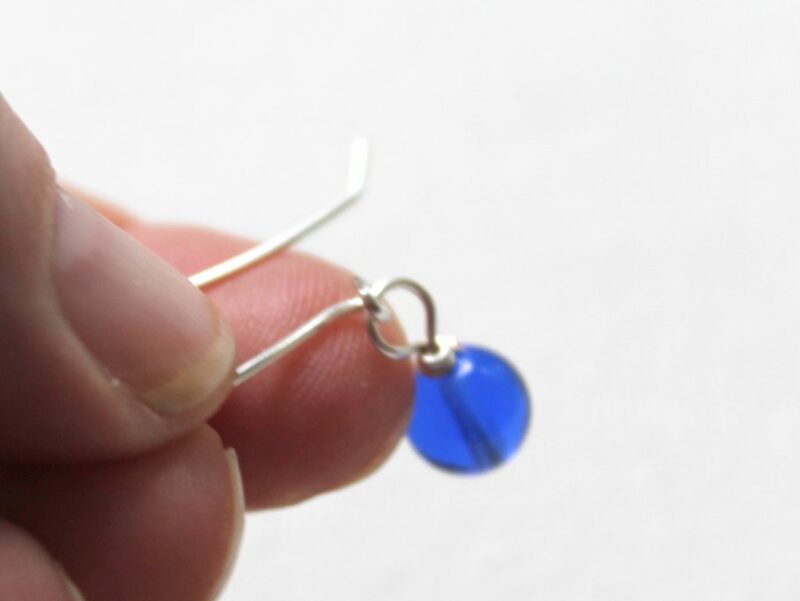 Next I’ll show you how to make a simple pair of earrings. 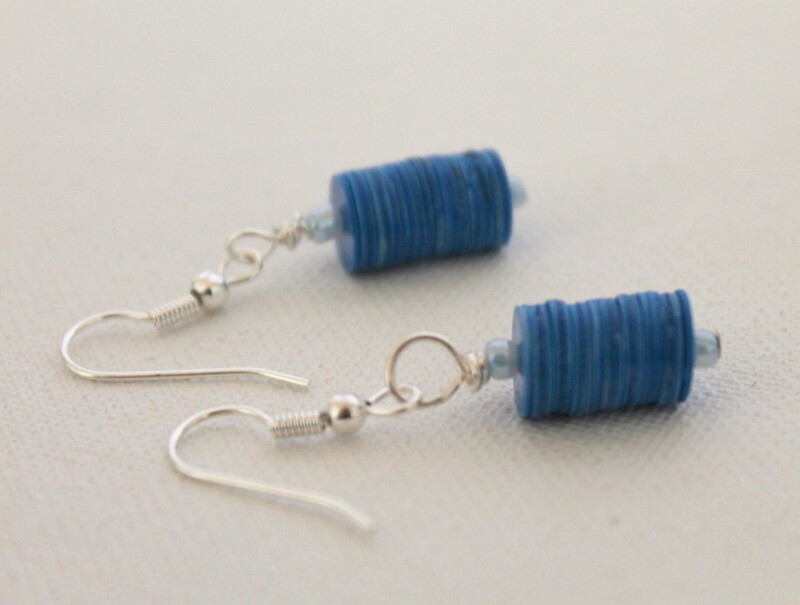 First you’ll find a step-by-step tutorial to make your own earring wires. 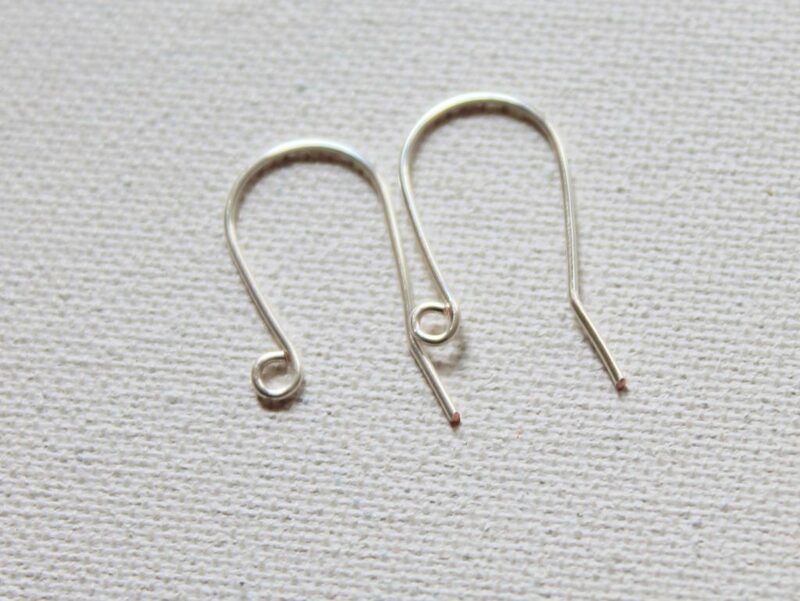 They’re pretty simple to make, but you don’t have to make your own earring wires. You can buy they already made at a jewelry supply store. Cut 2 pieces of wire approximately 3 inches long. It doesn’t matter exactly how long they are, just that they are exactly the same length. Now we’ll make a loop on one end of the wires. You learned how to make a loop in the “3 Tips” as well. Hold the wire in round nose pliers. The wire should be at the top of the pliers, but not poking through. 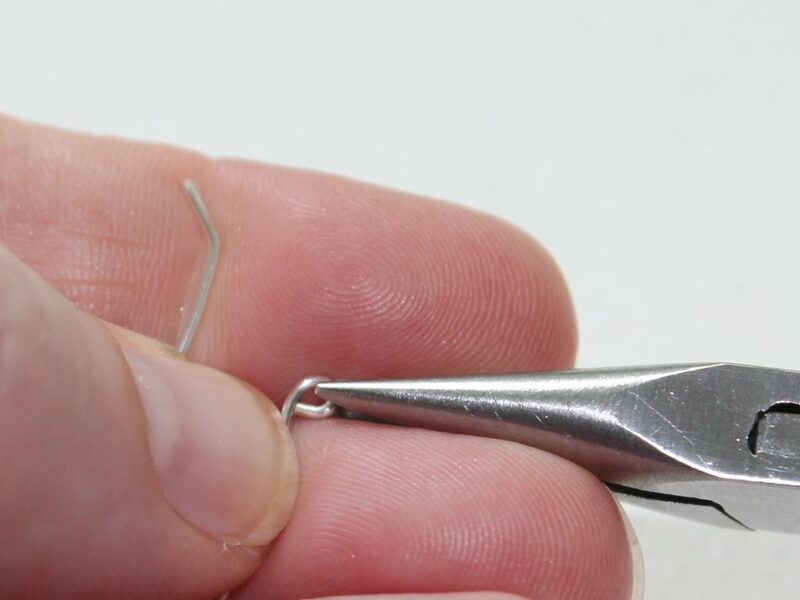 Use the tip of your round nose pliers because we just want to make a small loop. 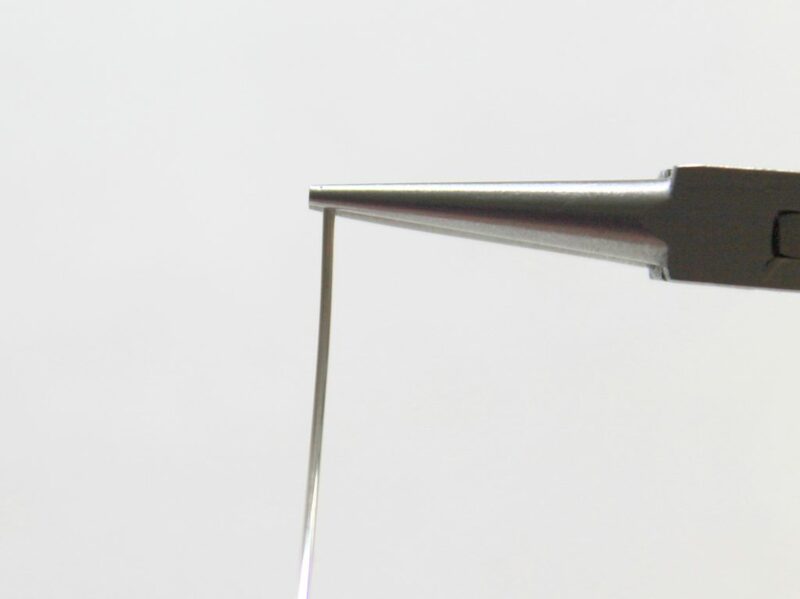 Twist your wrist away from you while wrapping the wire around pliers. When you have twisted as far as your wrist will allow, readjust the wire and pliers and complete the loop. Repeat for the other wire. 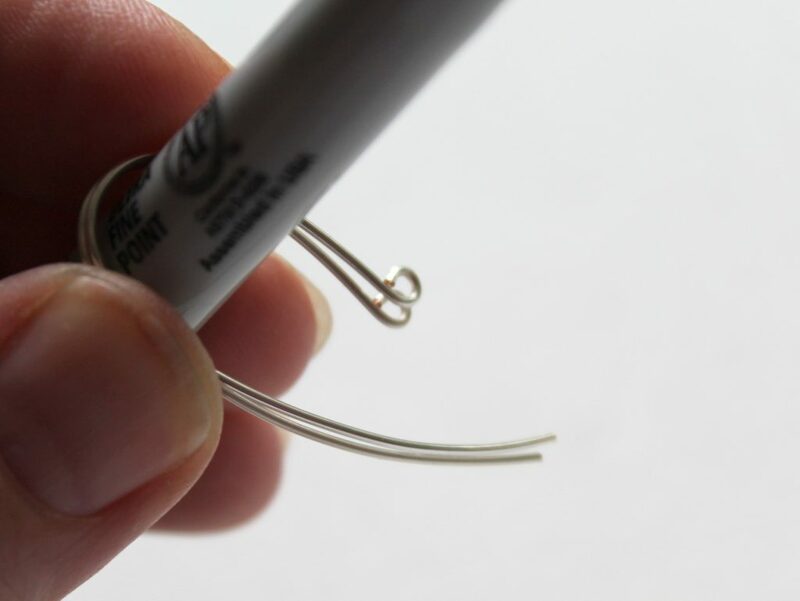 Bend the wires around a Sharpie or other pen or marker to form a hook. I find it helpful to do both wires at one time so they’re the same. The end with the loop will be shorter than the other end. 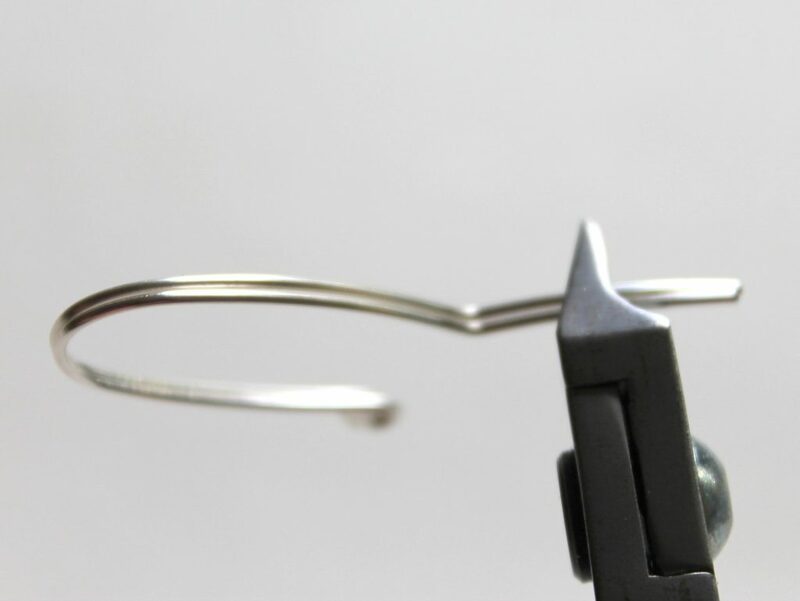 Use chain nose pliers to make a bend in the wires approximately at the same spot as the loop on the other side of the hook. Trim off any excess wire making a flush cut. 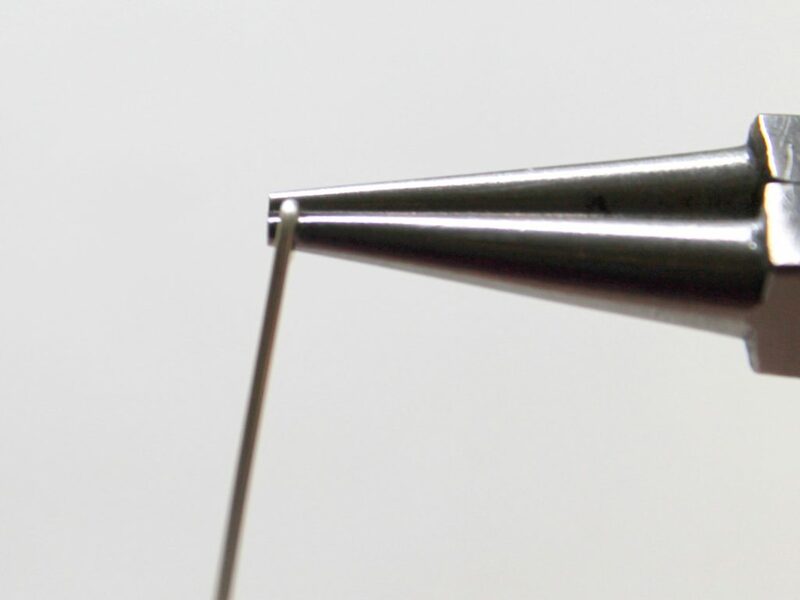 Use a file or burr cup to file the end of the wire so it’s not sharp but rounded. 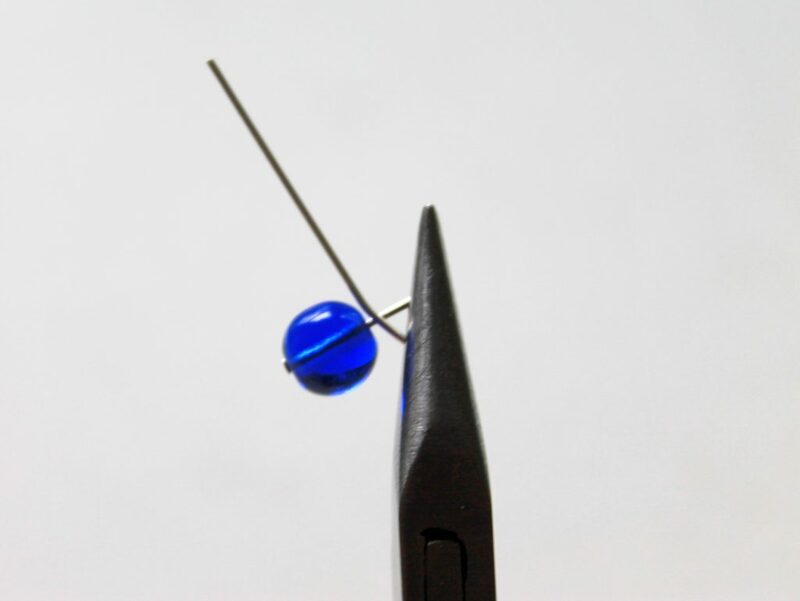 Harden the earring wire with a nylon, rawhide or hard plastic hammer. 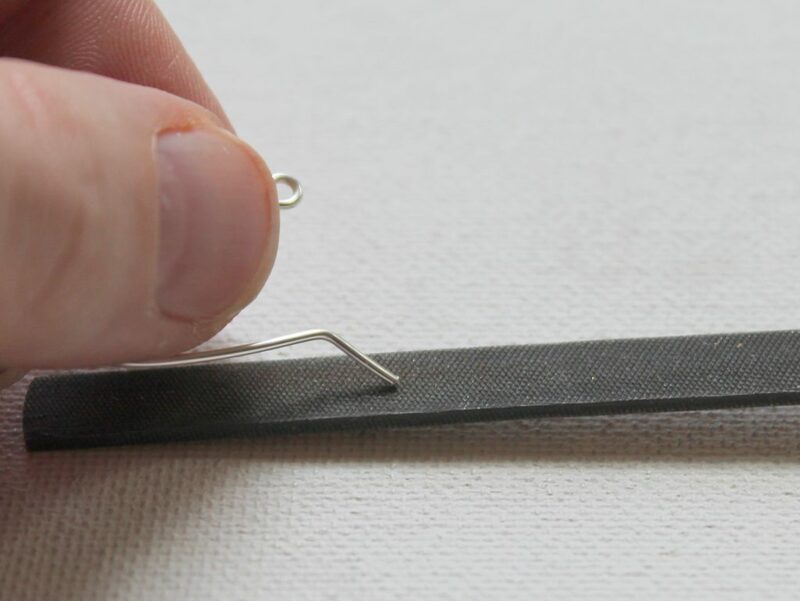 This step isn’t absolutely necessary, but will make your earring wires sturdier. 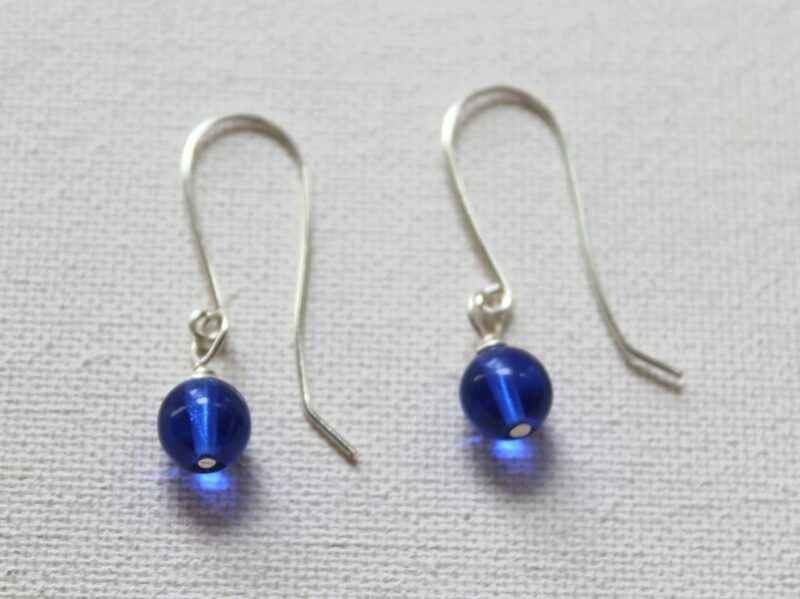 Now we’ll make a bead dangle to place on the earring wires to make a simple pair of earrings. 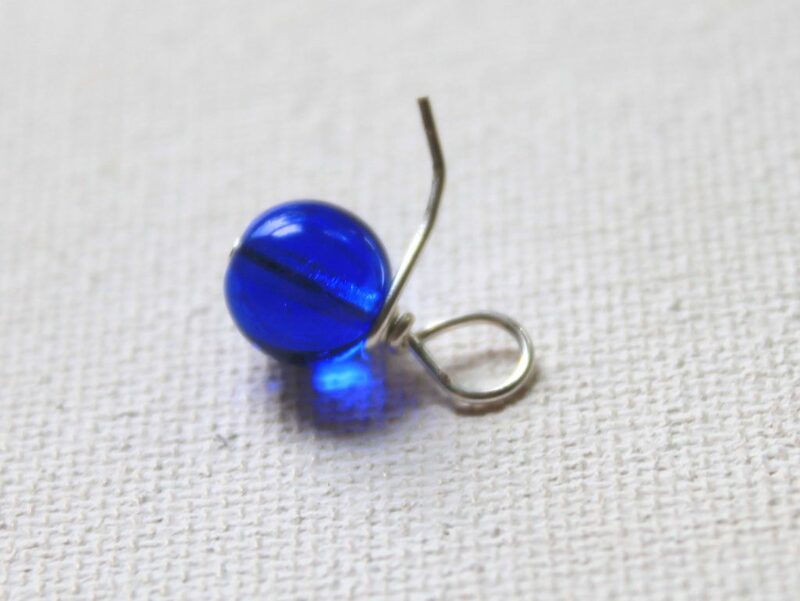 Slide a bead onto a headpin. 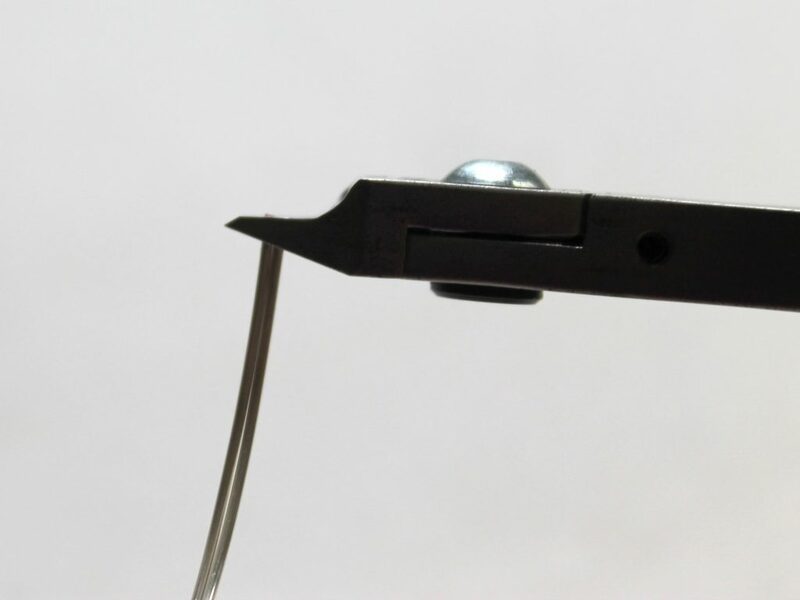 Hint: Check to see if your bead will stay on the headpin or if the stopper on the headpin is smaller than the hole in your bead. 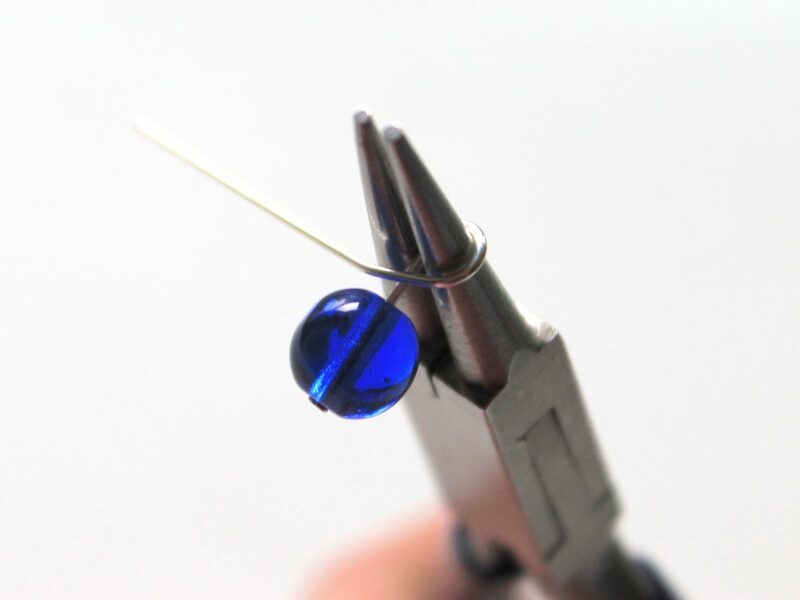 If it slides off, you can either add a smaller bead like a seed bead first and then your larger bead or make your own decorative headpin that will hold the bead on. 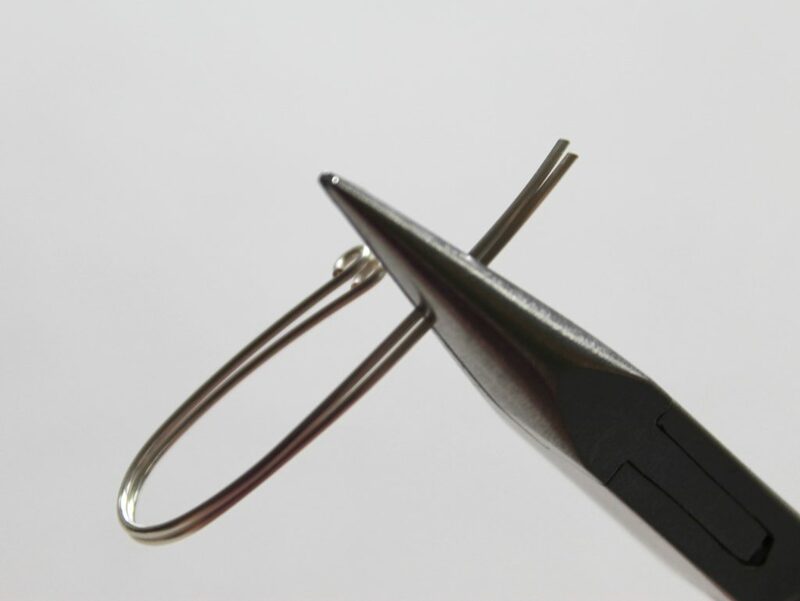 Hold the headpin approximately ¼ inch above the bead in round nose pliers. 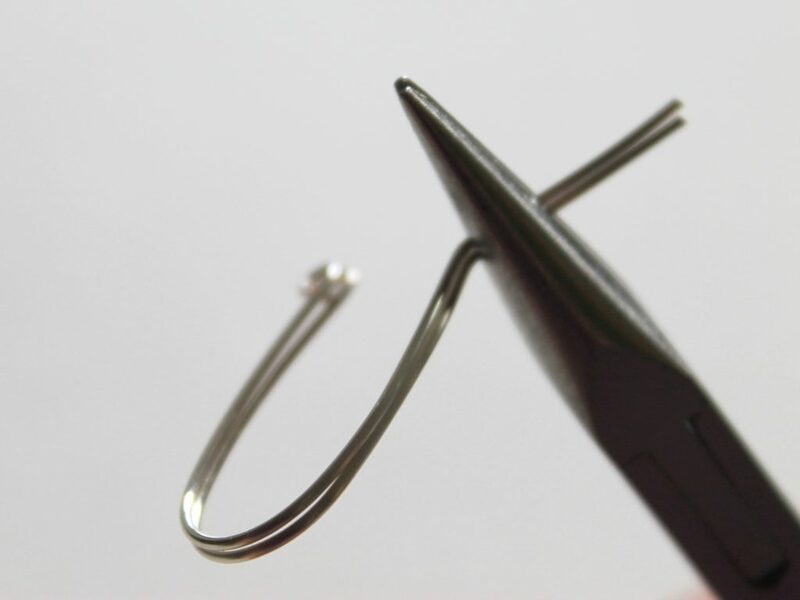 Wrap the headpin around your round nose pliers to form a loop. The loop will be off-center. 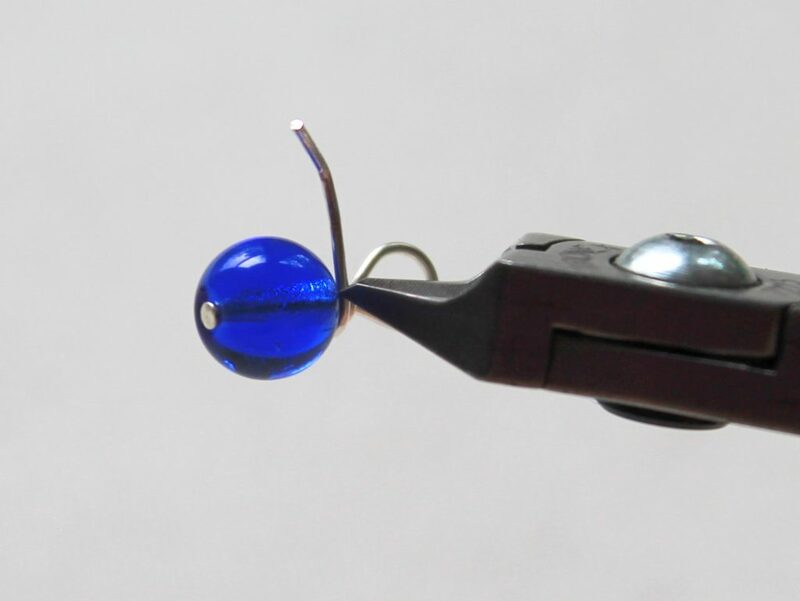 To center it hold the loop in chain nose pliers and wrap around one time while pulling the bead out straight. Make 2 additional wraps keeping them close together and straight. Use your chain nose pliers to make sure the end isn’t poking out. Repeat to make a second matching bead dangle. Place the bead dangle in the loop and close it. 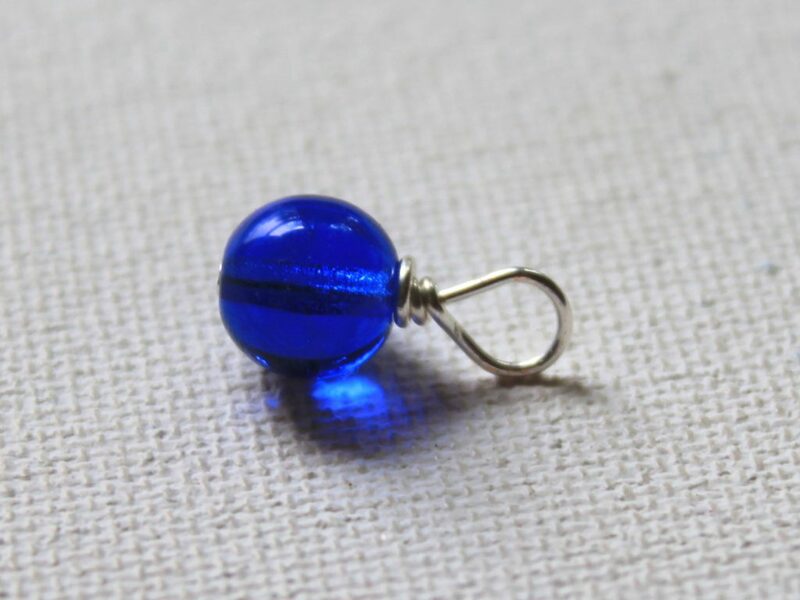 Add extra bead dangles to your earring wires. 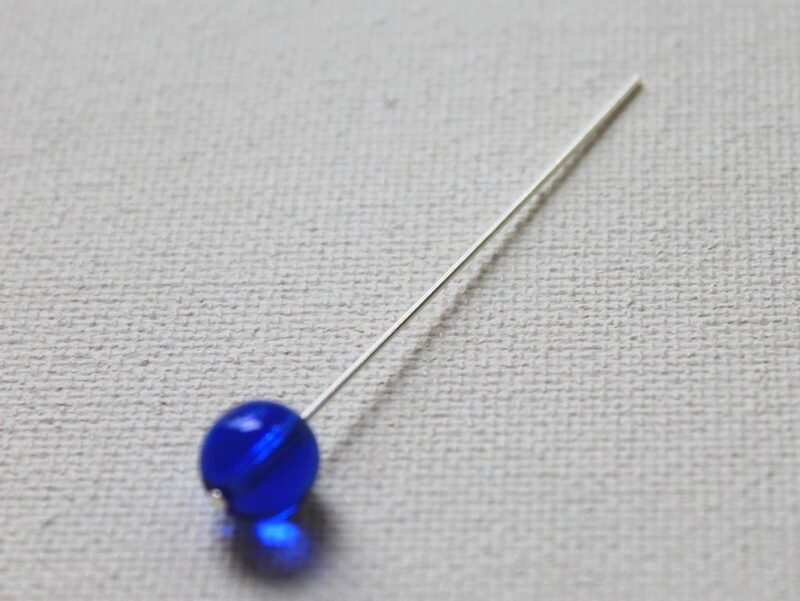 Add more than one bead on the headpin. I stacked disc beads for this pair of earrings. 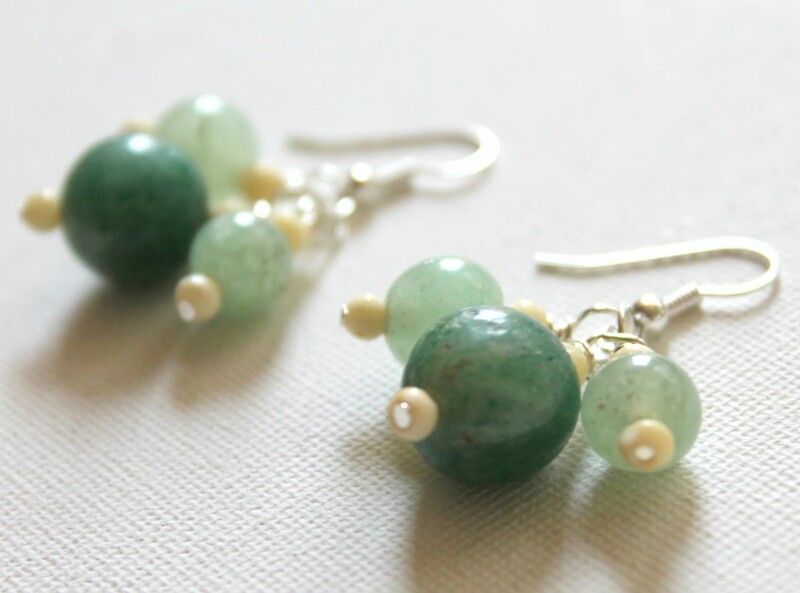 These earrings have several gemstone beads and use spiral headpins, but it’s the same basic technique. 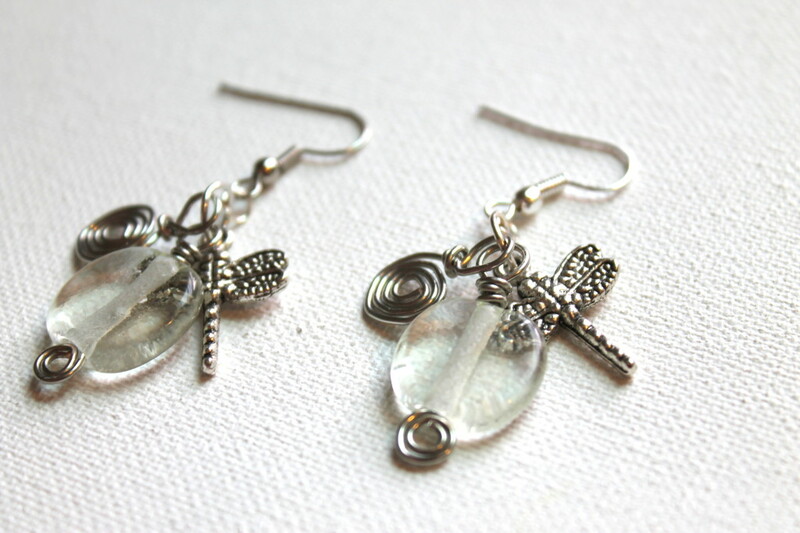 For these earrings, I used spiral headpins and then added a couple charms to the earring wires as well. 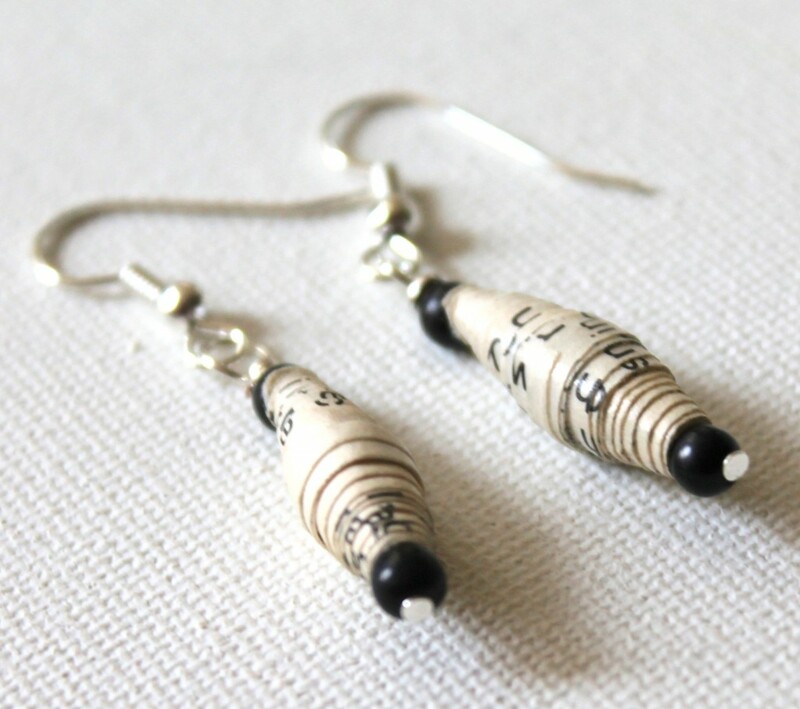 Earrings are a quick way to express yourself and your creativity. They don’t take a lot of time to make. You can express your creativity when you’re actually making them. Plus, they have the bonus feature that you can express your creativity when you’re wearing your one-of-a-kind creations as well. 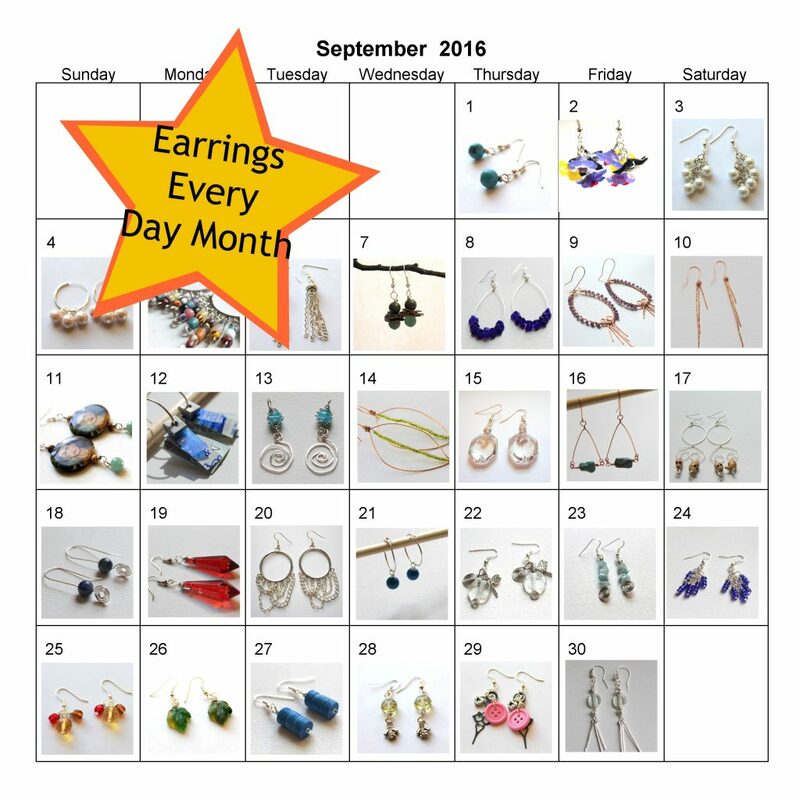 Join in for Earrings Every Day Month this September and get an inspirational email from me every single day of September to remind you to make your earrings for the day. 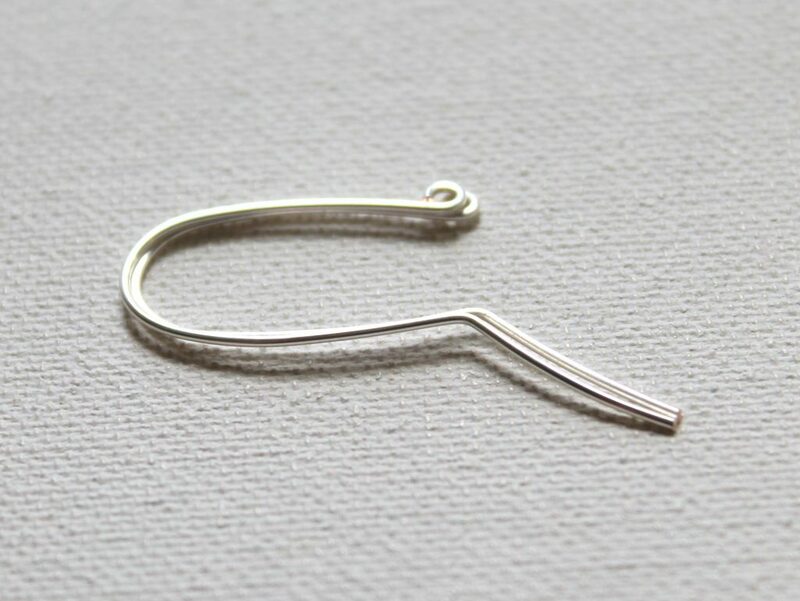 Plus I’ll send you links to my free earring tutorials from my blog along the way as well. 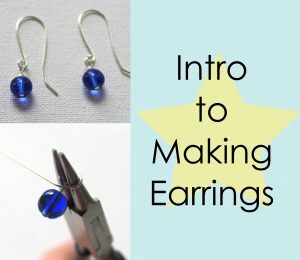 Get your FREE Introduction to Making Earrings Starter Guide with everything on this blogpost in a downloadable PDF form so you can refer back to it, plus a checklist of the supplies you’ll need to make earrings! The information and tutorials from this post in PDF form so you can easily save it. 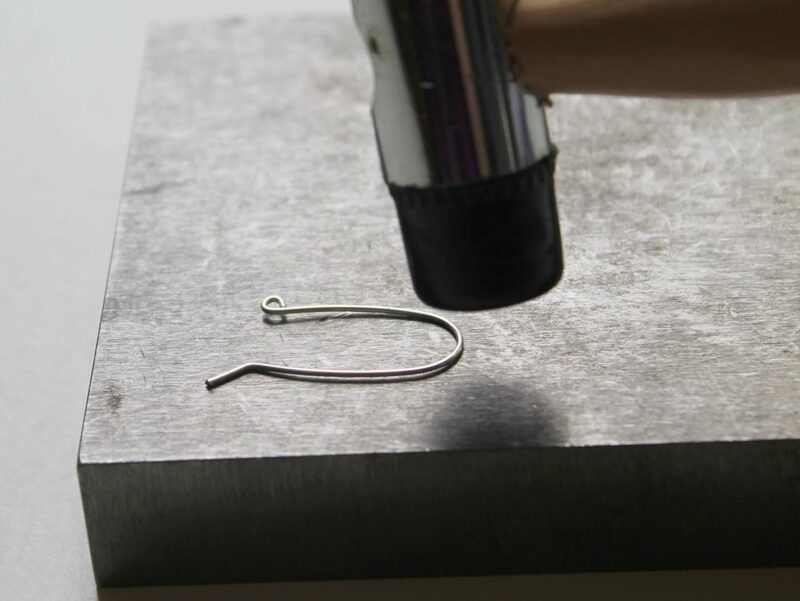 PLUS – a checklist of tools and materials you’ll need to make earrings so you can easily print it and check it off! PLUS – a list of my favorite resources for materials and tools! Additionally, you’ll get access to my Free Intro to Wire Wrapping eCourse. 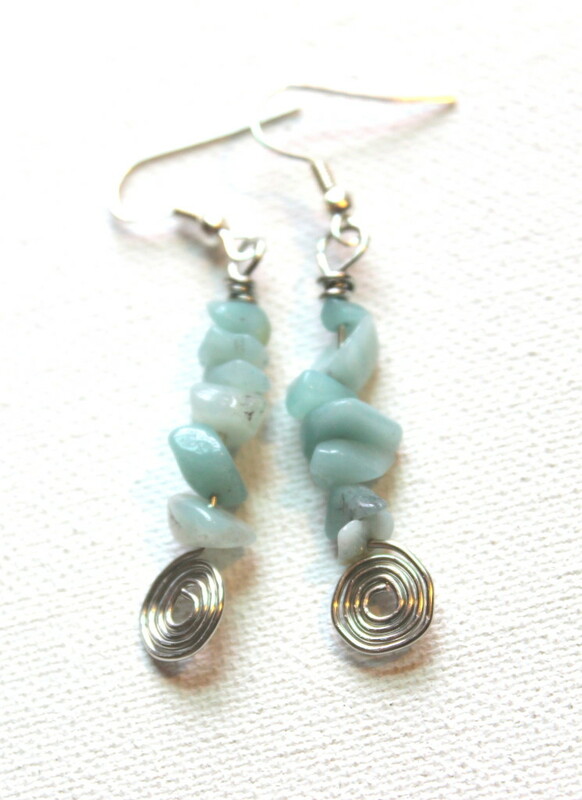 This entry was posted in ECT TV, How to Make Earrings, Jewelry Tutorials and tagged ECT TV, how to make earring wires, how to make earrings, how to make jewelry, Introduction to Making Earrings, jewelry making, wire wrapping by Kimberlie. Bookmark the permalink. I wish there were more girls in my family. I’d be making earrings for everyone! Great tutorial!